The rich get richer? One Wall Street analyst thinks that the biggest beneficiary of Pokemon Go mania won't be Nintendo. It will be Apple, which is already the most valuable company in America. Laura Martin of Needham & Co. wrote in a report Wednesday that Apple (AAPL) could generate $3 billion in revenue over the next 12 to 24 months from the game. Apple -- as well as Android owner Google (GOOGL) and wireless carriers -- get a cut from sales of in-app purchases made by people playing Pokemon Go. The game itself is free to download. Nintendo is benefiting since it owns a stake in both the Pokemon Company, which licenses the characters, as well as the privately-held game developer Niantic. Martin said the success of Pokemon Go could lead to more so-called augmented reality games (i.e. a touch of virtual reality in a real world setting) being launched .. and that could further boost mobile revenue for Apple's App Store. "Apple is THE global distribution platform for mobile content winners (not just Pokemon Go), with the wealthiest consumers," she wrote. She added that data from third-party mobile researchers also show that a big majority of the Pokemon Go downloads are taking place on Apple -- and not devices running on Android. Apple's stock is up about 5% since the release of the game earlier this month. 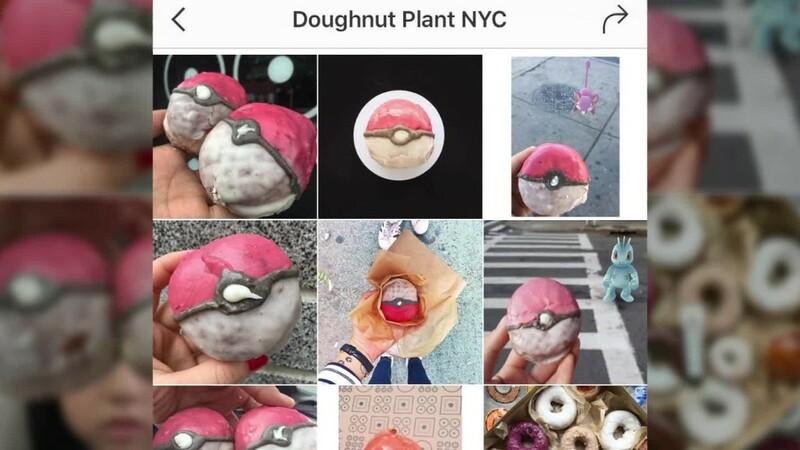 But that has more to do with the broader market rallying on hopes Brexit won't sink the global economy than hype about people hunting for Chespin -- the manic grass type character (and gluttonous macaron eater) who's a favorite of mine and my two sons. And Apple's gains pale in comparison to Nintendo (NTDOY), which has more than doubled, as well as mobile accessory maker Zagg (ZAGG), which has soared 35% thanks to a favorable mention of its mophie Juice Pack Air case in a PC World story about Pokemon Go. Even video game retailer GameStop (GME) is getting a Pokemon Go boost. The stock soared 7% on Monday after the company's CEO said on CNBC that sales were rising at stores that were listed as Poke Stops in the game. Investors probably should be careful though and not get too caught up in the Pokemon Go craze. Jason Bond, a trader and newsletter writer, said that Pokemon Go has all the makings of a bubble -- and compares the move in Pokemon-related stocks to what happened to Weight Watchers (WTW) after Oprah Winfrey announced she was buying a stake in it. Weight Watchers stock initially surged on the Oprah news -- and got another boost after she tweeted about how much weight she lost and started appearing in commercials. "Pokemon Go is fad driven. It's all speculation. For now, fundamentals don't matter. It's sort of like gold," Bond said. Of course, gold is surging this year. "Fads" can take on a life of their own. And so far, that seems to be the case for just about anything related to Pokemon Go.